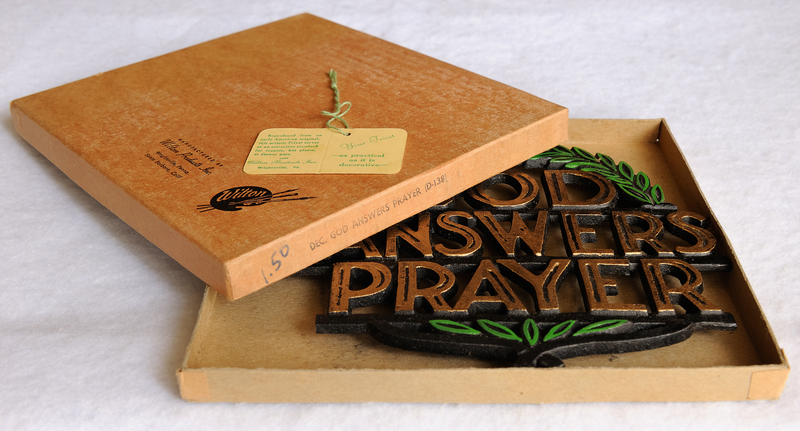 Many questions received from collectors revolve around the history, age and/or value of a trivet. This is the first in a series of three blog posts to help you better evaluate the trivets in your collection. Although there are no hard and fast rules in classifying trivets, the castings of each era have unique characteristics ~ which is why I personally find it helpful to to use the descriptive terms antique, vintage and contemporary. ● CONTEMPORARY: mass produced trivets produced after 1945 to the present day. World War 2 interrupted the production of household metalware since iron and steel was funneled into making armaments. After the war trivet foundry production resumed with an emphasis on decorative trivets for housewives. The majority of contemporary trivets are reproductions of antique trivet designs and are often referred to as “repros”. Most have short feet less than 1″, making them ideal for decorative wall display or casual tabletop use. However, some foundries created new, copyrighted patterns; Virginia Metalcrafters is noted for having created more original trivet designs than any other company. Begin by turning over your trivet. Antique trivets were rarely signed. Vintage trivets sometimes had an inscribed stock or lot number. In contrast, most contemporary trivets are easy to identify from one or more of these markings on the reverse: the foundry name, company logo, a lot or stock number, the design name or a date. 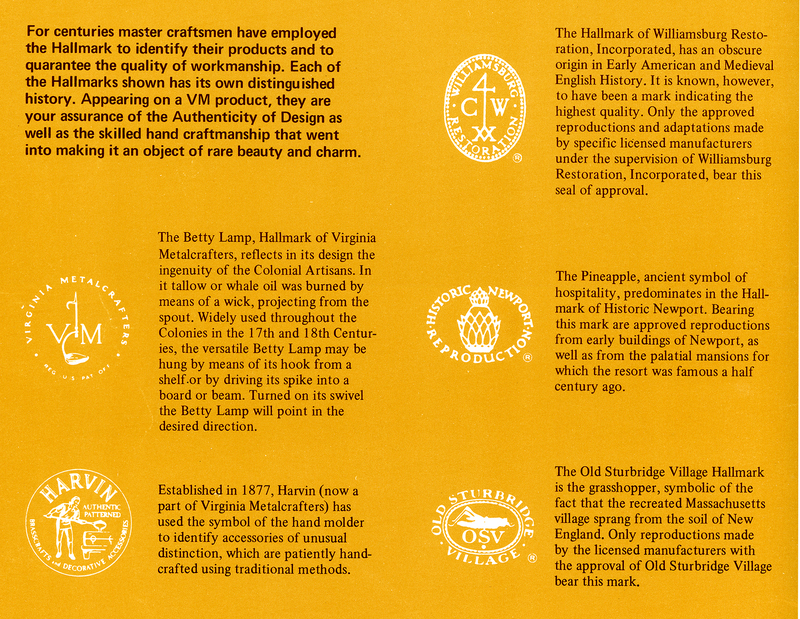 Below are the hallmarks (logos) of Virginia Metalcrafters. Modern foundries, circa 1960s -1980s, sold miniature (toy-sized) reproduction trivets. Many are signed MT, signifying miniature trivet, plus a company’s item number and/or other lettering. I have several foundry catalogs; they all offer trivets in both mini (toy) as well as a full size (7 to 8″) versions. Being modern castings, cast marks are ground off and no longer visible. ● Robert Emig, Reading, PA, circa 1960s. Emig produced some unique trivet designs; some were simply signed M (regular sized) or MT (small). 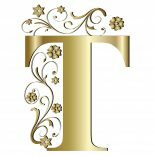 ● Iron Art Company, Phillipsburg, NJ was a distributor (1959-1989) that contracted with US foundries to produce Iron Art signed trivets. ● Union Manufacturing Company/JZH, Boyertown, PA. Notable for the JZH Alphabet Series, this company was sold in 1966. ● Wilton Products, Wrightsville, PA & Santa Barbara, CA continues today as Wilton Armetale. ● John Wright Company, Wrightsville, PA now sells shutter hardware and hearth & home items. ● Virginia Metalcrafters, Waynesboro, VA. In business from 1953-2006, they made reproduction trivets as well as a line of copyrighted designs marked with a ©. Check out the Virginia Metalcrafters group on Facebook! Below is a page from the 1968 John Wright Catalog. See Catalog Pages. 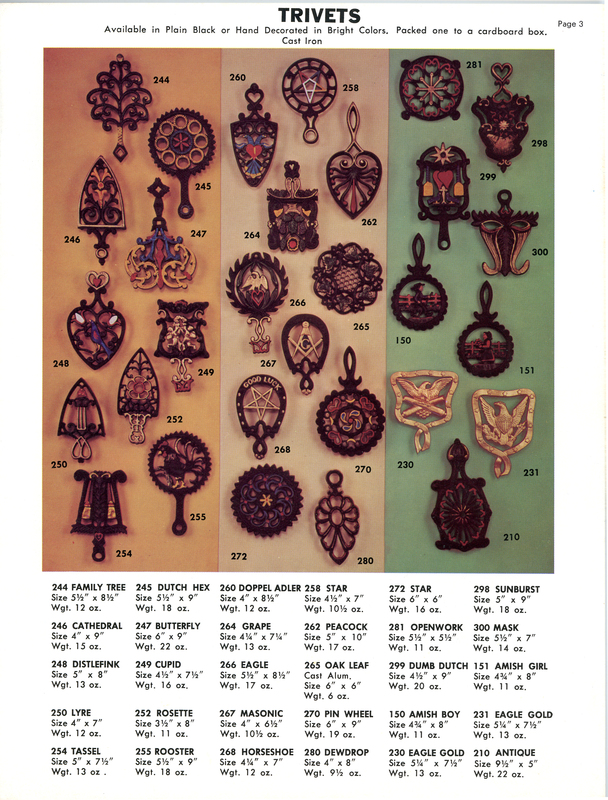 As you view the various catalog pages, notice the similarity of trivet designs between manufacturers. Some reproduction molds were generic, while others were shared between foundries. The reverse of a contemporary casting is typically flat (without backcoping). Cast marks are rarely visible since they were ground off at the foundry prior to final finishing. Most cast iron trivets were then painted flat black; some were accent painted with enamel. Any brass trivet with a lacquered finish is also most likely a contemporary casting. Additional clues in determining age might appear on the trivet, on its packaging or in an advertisement. ● Copyright Symbol © was introduced in 1914. ● Adhesive price stickers were introduced in 1935. ● Trivets sold with rubber or plastic caps on the feet postdate 1945. ● Telephone Area Code postdates 1947. ● Registered Trademark Symbol ® was introduced in 1949. ● Zip Code was introduced on July 1, 1963. ● Bar Code (scanning code) was introduced on June 26, 1974. Finally, if the name of a country appears on a trivet, knowing when that country was established becomes useful. Korea was divided into North and South in 1945; India was established in 1947; Israel was established in 1948; Taiwan was established in 1949; Occupied Japan refers to the post World War II years of 1945-1952; and items labeled Japan date from 1952. As for value, contemporary trivets tend to be more plentiful and affordable than antique and vintage trivets. Always select the best possible examples and upgrade whenever possible. Some contemporary trivets are still available mint in box, like the Wilton motto trivet above. Avoid any trivets that are heavily rusted, pitted, or have damage such as cracks or missing pieces. You might consider collecting an entire series such as JZH Alphabet trivets or prefer to collect by manufacturer, theme or shape. However you choose to collect, be sure to display your trivets where you can enjoy them everyday! This entry was posted on August 1, 2017 by Lynn Rosack in Collecting Basics, Contemporary Trivets and tagged cast iron, clues in determining age, John Wright Company, Virginia Metalcrafters.